My first blog HAD to be of my beloved better half, my smartphone. 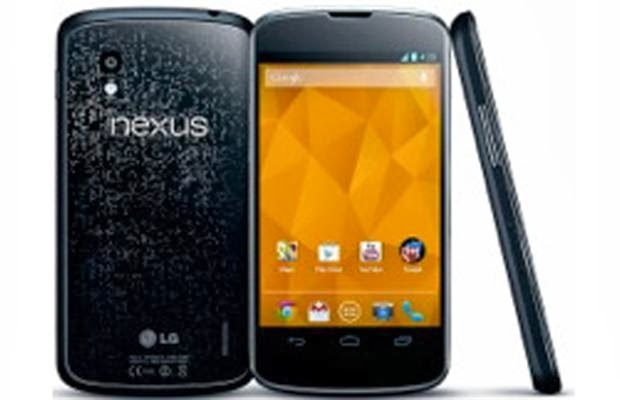 It is a beautiful Google Nexus 4 aka LG E360. I had got my hands on the 16 GB variant when it was launched in USA, so I have been using it since 10 months or more now. The white colour variant was just recently launched when it became official in India, but I can live with that. My black beauty is no less! When you take this phone in your hands (sans any cover of-course , it "feels" great. The glass body back & front makes it a totally different Experience. I had a official bumper protecting it for a few months, but it broke off , and now I make do with a normal cheap cover, amazingly it works as good. So no point spending a bomb on the official bumper. The speed is fast, I use a zillion apps, multi-task daily (Twitter+Facebook+Whatsapp+Camera+Calls+Games) and it takes it all without any problem at all. I have seen other android phones hang, apps crash, but not my Nexus 4! It can tend to heat up a little during hot summers (If you stay in a place where the temperature is above 40 degrees Celsius, you should consider this). The battery lasts about 6 hours with 3G Data on ,but with data off it can last all day. But I think this is a problem with any smartphone using 3G, be it Iphone or Galaxy series, right? 1. Looks beautiful, specially the shimmering look on its back. 2. Amazing speed, supports heavy apps & games. 3. Great wifi according to me, it catches my wifi on the 6th floor while I am on ground floor. 4. Its "Vanilla" Google, means unchanged pure form of Android. And it gets the latest updates first too! 5. For its price, its the best value you can get even today! Why spend 40K+ when you can get something for less than 25K? 6. The touch, is classy! 1. I think voice quality could have been more decent, I feel its average, but its okay for me as I don't use the phone for talking as much. 2. Sound output is not very good, specially when I connect it to external speakers or a car's audio jack. I know this for sure because I have compared these with other smartphones, which play really well! 3. In the box, they simply provide a charger, no headphones, they could have given that too. Well, this was my first review so pardon me if I forgot to mention something! Comments are most welcome! P.S. Girls- If you are looking for a smartphone that is different from others, this is it! You can also customize it with covers or skins, now available everywhere. But even without any, its a beauty!